Embedded ERP 3.0 is a Magento Extension for Stocks Management - Inventory, Purchases, Order Preparation. Make Magento your e-commerce management solution for stock, purchases and order preparation with Embedded ERP. Every function is built in to the control panel, and no external software installation is necessary. Created for the merchant to help efficiently manage data flow directly within Magento, Embedded ERP was developed from our e-commerce expertise and familiarity with the needs of professionals in the field. Since 2010, it has provided more than 2,000 websites with high-performing support software that is entirely integrated with Magento. Dashboards: Embedded ERP automatically generates over fifty different tables, charts, and graphs analyzing your sales, products, customers, and suppliers, to give you a thorough overview of your business activity. Featuring all of the same functions as warehouse management software, Embedded ERP handles your stock with care. These features include: stock movement tracking, product assigning, use of barcode scanners to reduce risk of product loss, and an inventory application to verify stock levels. • To import your supplier’s stock levels. With this feature, you can create an unlimited number of warehouses and it is possible to assign any number of warehouses to any website you manage. With this feature, you can create as many warehouses as you wish. Each warehouse can be associated with one or more tasks, depending on if the products are held for sale, delivery, etc. Embedded ERP uses a router that allows you to define your preferences (preferred warehouse, warehouse with stock, etc.) in order to automate your sales distribution from more than one warehouse. Each of your products can have a different stock level, depending on the warehouse in which it is stored. With the router, you can ensure that the amount of products available for sale on your website matches the available stock levels in each warehouse. • Available stock: The physical stock level withholding all orders in progress. In other words, the stock that is available for sale. • Ideal stock level: The stock level that maintains a sufficient quantity to fulfill your orders and ensures that your products will not reach alert level within a specified delay. Accurate and efficient stock management is not easy to come by. To assist you, Embedded ERP records every physical stock transfer that is performed: reception of merchandise, order shipment, and refund. Each stock movement is labeled with a username, type, and an obligatory description so it can be traced back to its source. You can also manually create stock movements. Embedded ERP automatically reserves the products for each order in function with the available stock. 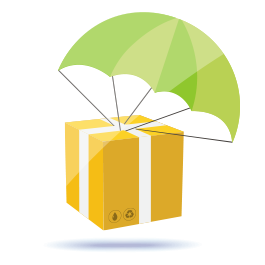 With this feature, you are instantly informed which products can be shipped immediately and which are on-hold. Once a product on-hold comes back into stock, it is immediately reserved for the orders in process. Embedded ERP allows you to quickly and easily modify stock levels, alert levels, location, or any other information concerning multiple products at once with its mass stock edit feature. Embedded ERP maintains updated statistics in 3 customizable timeframes. This information is made available on each page. The sales history feature contains an algorithm that allows you to define your ideal and alert stock levels. Once your stock reaches the alert level, a purchase order is created. 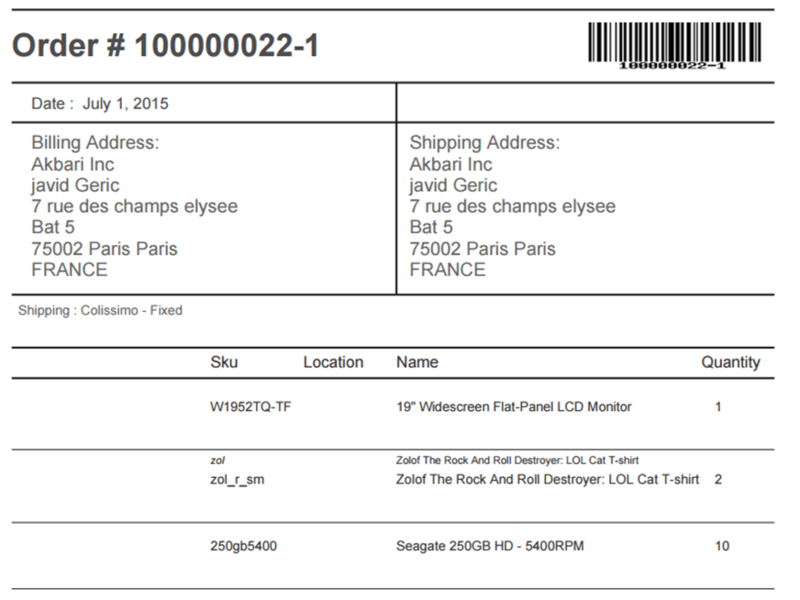 Trace your stock’s arrival and departure by recording the product’s serial number. With this step, you can efficiently and effectively track your products. Stock errors occur even when a rigorous management system is in place. A periodic partial or total inventory is essential for maintaining accurate stock levels. Embedded ERP allows you to perform inventory with or without a barcode scanner, so that you can compare your stock levels in the system with those physically present in your warehouse(s). Once complete, you can address any discrepancies and adjust your new stock levels with just a few clicks. When you maintain several stock warehouses (internet sales, physical store sales, supplier stock, etc.) Embedded ERP helps you to transfer products between them smoothly and accurately. Embedded ERP allows you to import and export your stock details in order to consolidate your inventory or determine its total value. 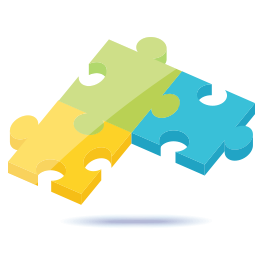 Embedded ERP includes a tool for managing your relationship with your suppliers. It assists with purchase orders, just-in-time inventory pull (for which you do not maintain stock,) and resupplying of low stock with the stock-level alert feature. For each supplier, you can assign a name, a street address, an email address (to send orders and request quotes,) a default delivery delay, a default currency, the tax rate, and the shipping rate. 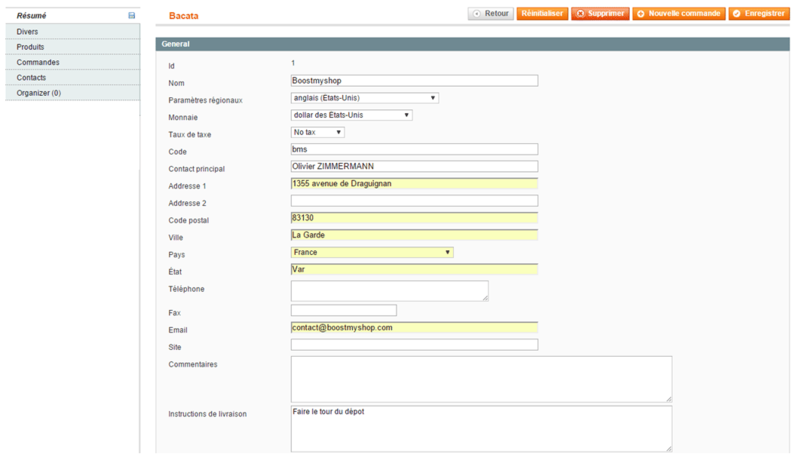 In order to optimize your purchases, you can also customize the order minimum and the postage amount for each supplier. Product association can be performed after you have entered your supplier information. This is an essential feature for when you wish to make a purchase order. With it, you can filter your stock needs by supplier. Embedded ERP accepts multiple suppliers per product, and each supplier is given its own product ID number(s), purchase price(s), shipping rate(s), etc. 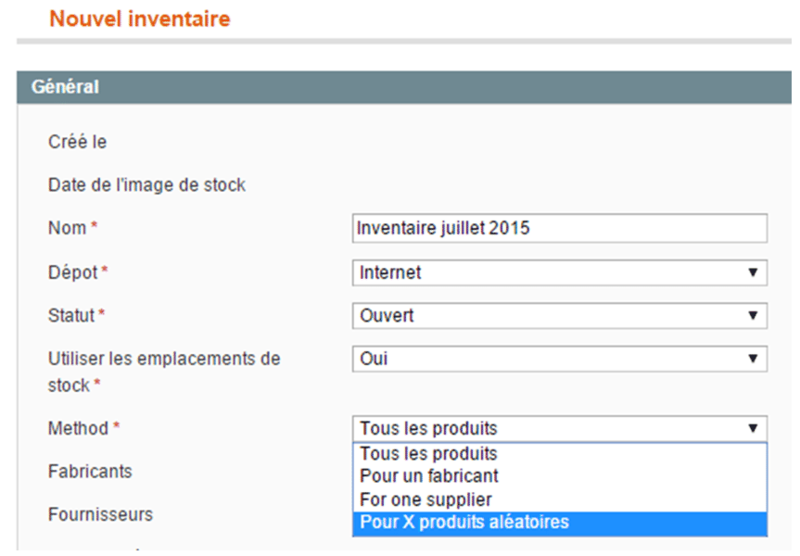 The Product-Supplier database can be filled out using a CSV import, manually, or automatically. Each time you place a new purchase order, Embedded ERP updates the database for the next use. In both of these scenarios, you will receive an alert indicating the reason for the supply need. You can filter the supply needs list by supplier or manufacturer to view all of the products needed from any given source. 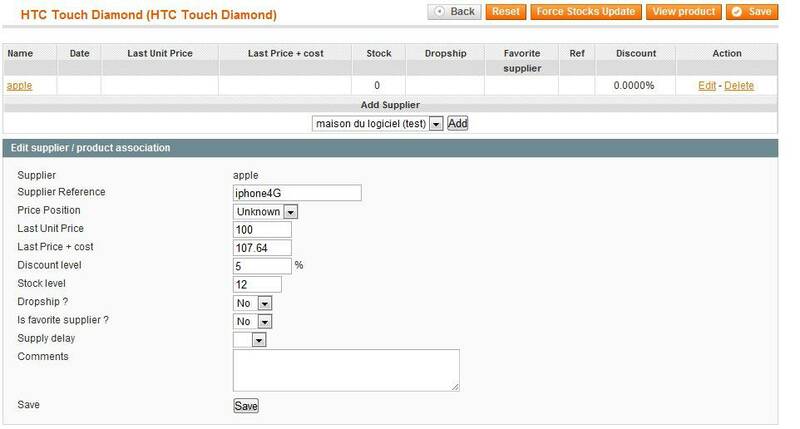 Then, with a few clicks, you can create a purchase order for the supplier by selecting the products in need. In the supply orders feature, you can specify the payment currency, tax rate, shipping cost, product unit price, quantity, packaging, and expected delivery date. It allows you to add products to your order manually or from the automated supply needs list (purchase recommendations), or by importing a product file. For each product, you can also specify the quantity (per unit or in bulk), total purchase price, shipping cost, supplier product ID (if different from your own) and the expected delivery date by product. Embedded ERP automatically generates the sales price for each product including shipping costs as well as the corresponding profit margin, which helps you to avoid making purchases that would lead to profit loss. When the products have been delivered to your warehouse, go back to the supply orders page and update the delivery status. With Embedded ERP, you can update the delivery status manually or with a barcode scanner. You can also create a qualitative delivery status by redirecting defective products to a specific warehouse. Once your newly delivered products are confirmed ‘in-stock,’ they will automatically be made available for sale on your website. The system allows you to confirm partial, complete and even surplus merchandise reception. With this function, your order is updated with the number of products received, and a separate page will publish the outstanding merchandise by product/ order/ supplier. From picking, to packing, to shipping, Embedded ERP is there every step of the way to help you process your orders quickly and accurately. It can support input from several barcode scanners at once, so picking lists can be delegated among several employees. As each company is unique, with its own system of organization, the order preparation module is fully customizable to meet your needs. Which orders are ready for shipment? 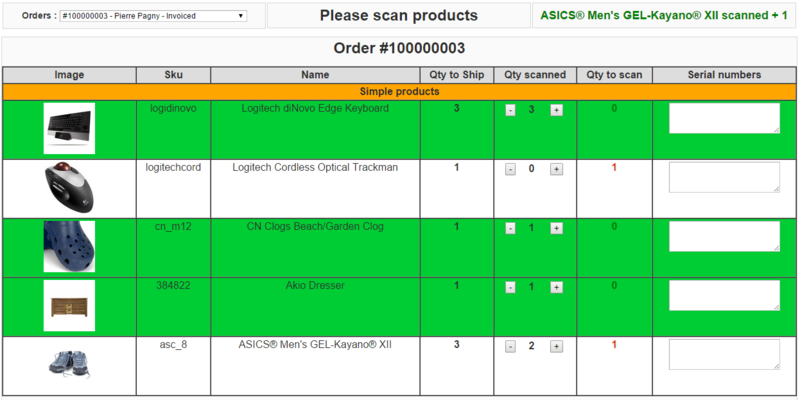 The order preparation screen displays two different order lists: complete orders (for which all products are in-stock), and incomplete orders (for which one or more products are out-of-stock). A third list comprises orders that are on-hold for a reason that can be manually selected: awaiting payment, blocked order, specific customer group, etc. Using these lists, the order preparer can select the orders that they wish to process through a clearly defined system. Once the order selection has been made, the preparer can print a picking list that includes all of the products involved. 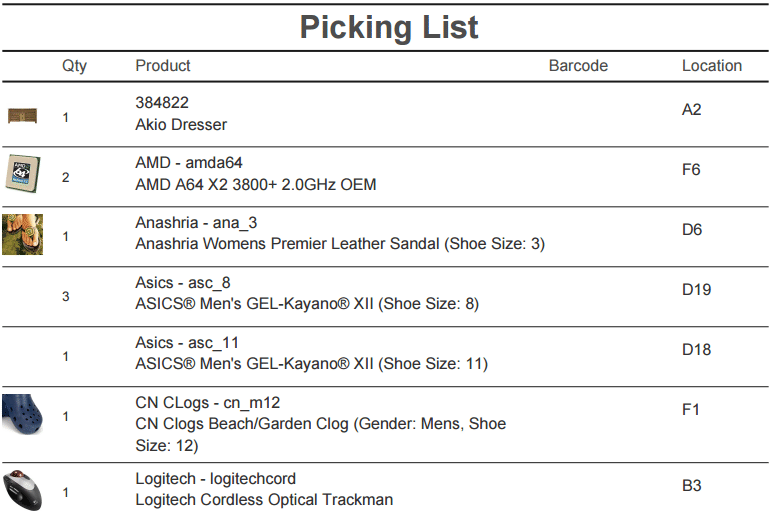 This list can include a photo of the product, the quantity ordered, and its location in the warehouse, i.e. Section A, Aisle B, Shelf C.
The following step ensures that you ship the correct products for each order. 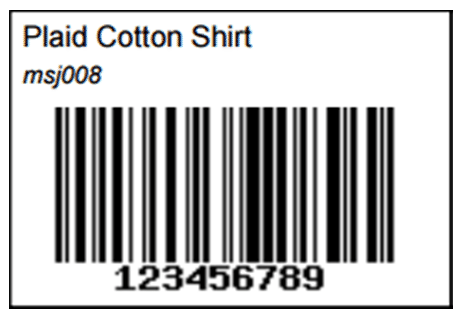 When you scan the order barcode, the system will display the products required. Then, once the products have been picked, you can scan their barcodes to verify. If the wrong product has been scanned, an error message will appear. When all products for an order have been verified, you can validate the order for shipment! 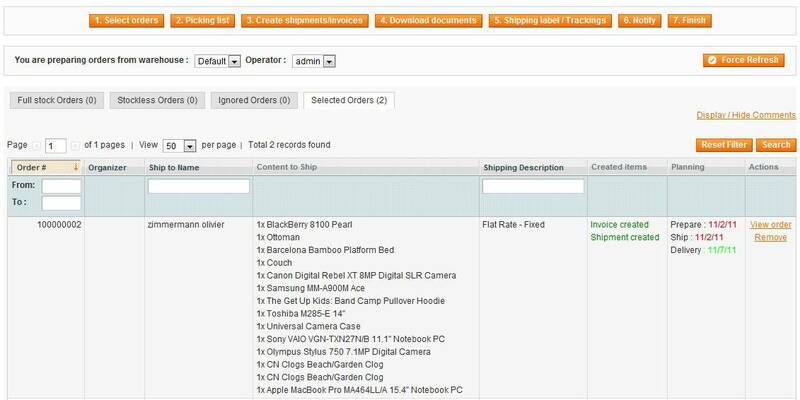 • Export order details to your transporter’s software. If you enter your order information into your transporter’s software program, Embedded ERP can export the order details for you in xml, csv, or text format. No need to waste time manually entering order details! 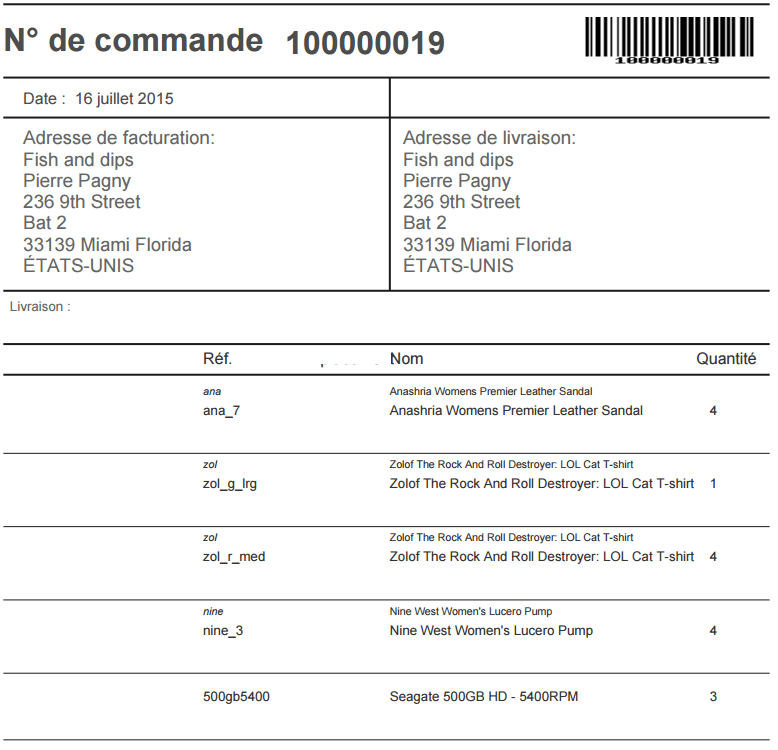 • Print shipping labels directly from Embedded ERP. 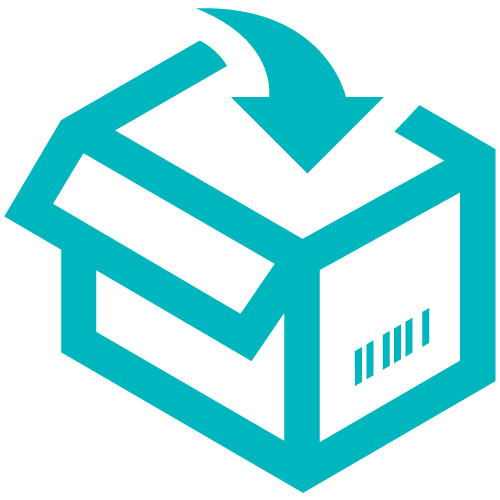 BoostMyShop provides modules for UPS, Royal Mail UK, and Colissimo that communicate directly with the transporter API to generate shipping labels and assign tracking numbers within Magento. Embedded ERP automatically generates over fifty performance reports to give you an integrated view of your products, sales, customers, stock, and purchases. The performance reports were conceived with the help of experienced e-merchants to give you a complete overview of your business activity. 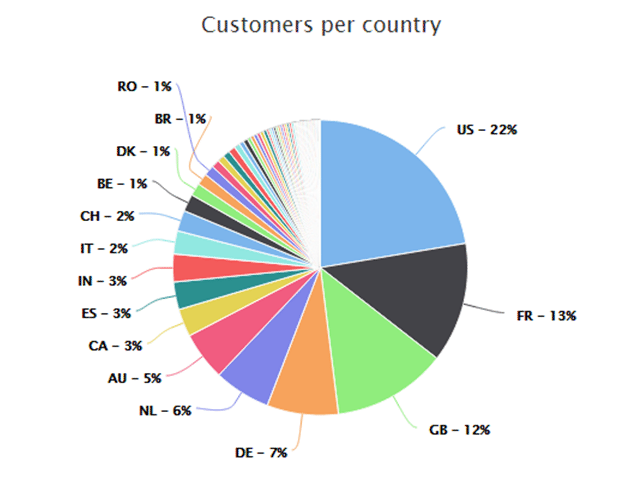 Appearing in the form of tables, charts, and graphs, all of the data can be exported into an Excel file for further analysis. You can also navigate easily from one report to another to deepen your analysis. Do you have a top-selling product? Click on the product to display more details. Can a certain brand be associated with multiple refunds? Click on the brand name for more information. Customize your dashboard to display only the information that is most relevant to you. A summary of all orders in process can be generated during order preparation. This tool allows the supplier to assure order preparation and shipping process for your clients. Price Tracker is an add-on for Magento Embedded ERP. Price Tracker allows you to view directly in front of each product identified by an EAN/UPC code the different competitors’ offers present on the Google Shopping Engine. Price Tracker is an on-demand operating with credits. Discover our packs HERE. The Embedded ERP system has saved us time, money and greatly improved the poor Magento inventory system. 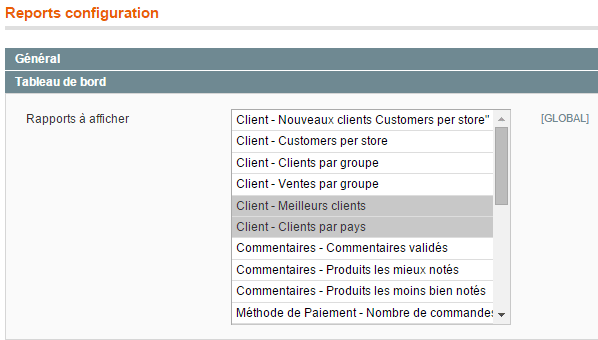 Ce module couvre l'ensemble de la partie achat, totalement inexistante dans Magento. Il permet d'anticiper les ruptures de stock et d'afficher de manière très personnalisée les notifications de stock en front (délais...). 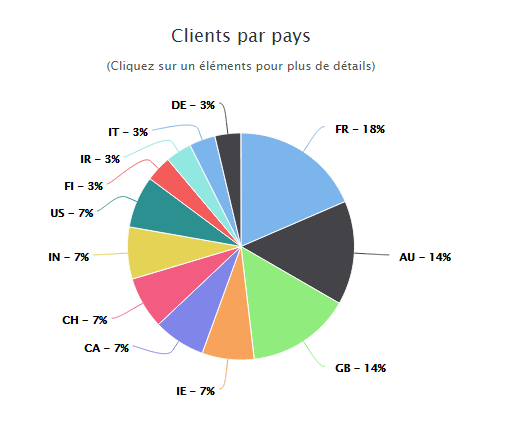 Un outil indispensable, très bien pensé et disposant d'un support technique hors pair. 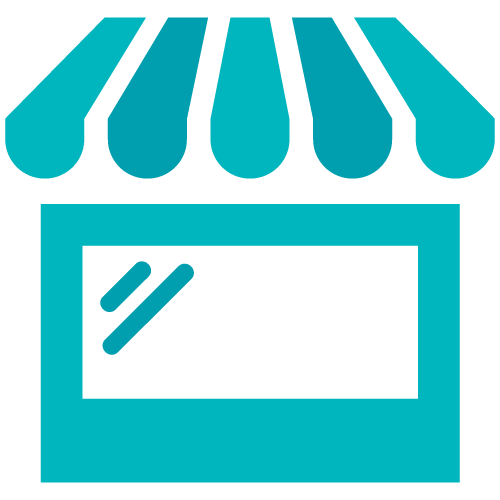 I would recommend any App from BoostMyShop ! The support we have received has been second to none ! This extension has helped us run our business by allowing us to control complex inventory, and the BoostMyShop customer service is truly exceptional ! This is the best ERP solution for Magento users. The Embedded ERP product allowed us to use hand held scanners to make our fulfillment process fast. BoostMyShop did some customization for us to fit our needs. Their developers are EXCELLENT and easy to work with. Highly recommend this product. Out of the box Embedded ERP has vastly simplified our work. Inventory management and purchasing functions are now controlled within Magento eliminating the need for interfaces and data duplication. This is a great solution. Product Returns Management (RMA) extension for Magento.